When it comes to entertaining large crowds on a budget, especially when alcohol is involved, punch is a perfect option. And with the gorgeous beverage dispensers available these days, one can be found to suit any theme or look. 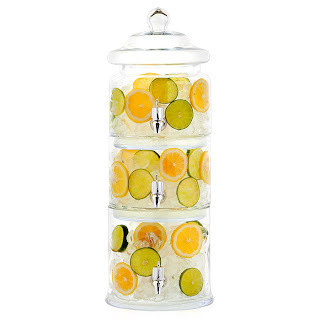 For a wedding in a rustic local, how charming is this mason jar dispenser from Pottery Barn for $69? Want a more elegant look? How about these from Z Gallerie? 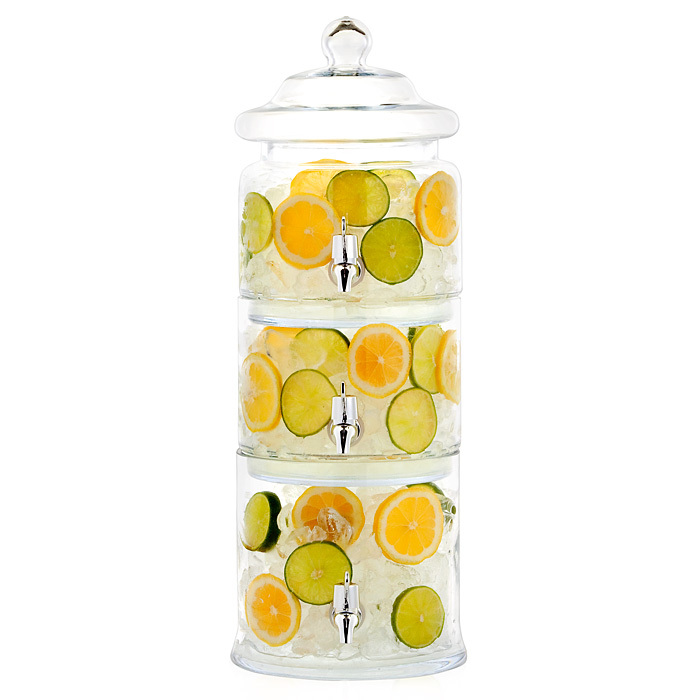 For 69.95, look at this clever dispenser! 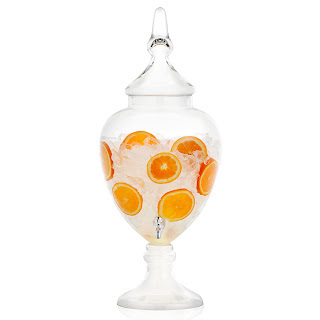 Imagine a red, rose, and white sangria in this! I have this one myself, and can tell you, it holds a lot of punch for a lot of people. Or for only $49.95, this apothecary beverage dispenser? Want a more vintage, shabby-chic vibe for your wedding? 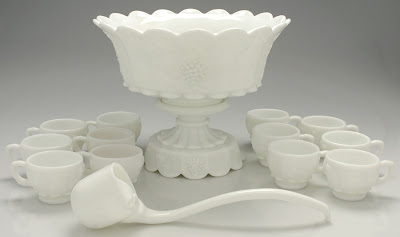 A collection of antique milk glass punch bowls would make a spectacular display. 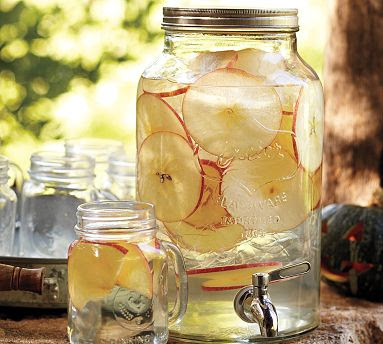 Come back tomorrow for great punch recipes to put in these gorgeous containers.